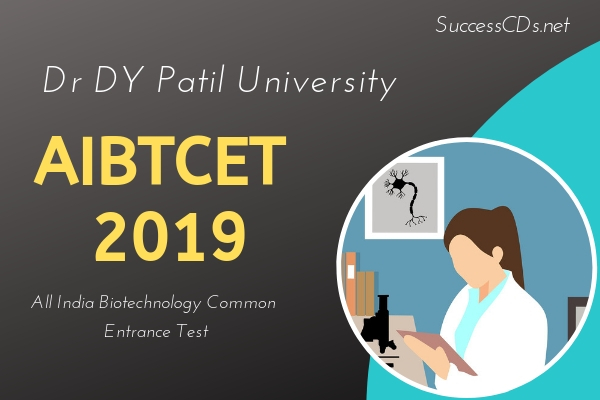 Dr DY Patil All India Biotechnology Common Entrance Test 2019 - The Dr DY Patil University (DPU) invites application for All India Biotechnology Common Entrance Test (APBTCET) 2019. The common entrance test covers six cutting-edge academic programs, leading to degrees in Bachelors & Master (Integrated) Biotechnology. All these are high quality research-oriented programs and will lead you to satisfying careers in emerging areas of technology . The medium of instruction for the above courses is English. A candidate belonging to this category is not required to appear at the AIBTCET-19. However, he/she shall submit a separate application, in the prescribed form, available in the Vidyapeeth office and also on the Vidyapeeth website. The admission sessions will be conducted at the office of the Dr. D. Y. Patil Biotechnology & Bioinformatics Institute, Tathawade, Pune - 411 033.